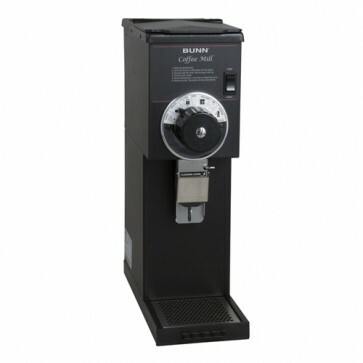 The BUNN Bulk Commercial Coffee Grinder injects fun into the daily grind. It couldn't be easier to use: pour beans in hopper, select grind, turn on, receive delicious ground coffee. Baristas in the olden days had to struggle with persnickity hand crank coffee mills. What a chore! The BUNN G-series makes quick work of what used to take hours and build biceps. The BUNN G1 Hopper holds 1 pound of fresh coffee beans. Fast! Grind one pound in under 30 seconds.